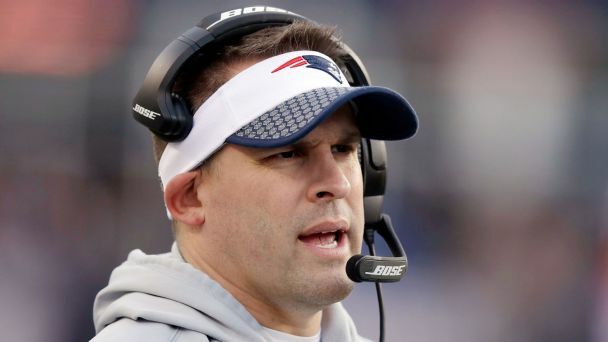 Nine hours after the Indianapolis Colts announced Josh McDaniels as their next head coach, they confirmed McDaniels had decided to not accept the job, and instead return to the New England Patriots as their offensive coordinator. Shocked, surprised and "at a loss" were how some inside the Colts organization described their reactions to the news. The team plans to resume the search "immediately," but McDaniels' decision sparks plenty of questions in Indianapolis. The Colts released a statement saying they were "surprised and disappointed." Do they have any legal recourse? It's highly unlikely. By all accounts, McDaniels never signed a binding contract. That's why the Colts used the phrase "agreed to terms" in their initial announcement -- a description of what happened, but largely irrelevant in a legal sense. You can't violate a contract you didn't sign. Does McDaniels' decision to back out violate any league rule? It doesn't appear that McDaniels broke any rule here. The NFL doesn't recognize moves -- roster adjustments, trades, hirings or firings -- until they are official and approved. From a league perspective, McDaniels never stopped being the Patriots' offensive coordinator. The Colts do not appear to have a platform from which to file a grievance. So that's it? No consequences? At least some teams, owners and assistant coaches will wonder whether they can trust McDaniels' word. We don't know everything about what happened behind the scenes, but clearly the Colts felt comfortable enough with his commitment to make the announcement. And at least some members of his presumptive coaching staff signed deals to join him. What happens to those assistants? Matt Eberflus was slated to be defensive coordinator, Dave DeGuglielmo to be the offensive line coach, Mike Phair to be the defensive line coach and Patriots assistant quarterbacks coach Jerry Schuplinski was also expected to be on McDaniels' staff. ESPN's Adam Schefter reported Tuesday night that Eberflus and Phair have already signed their contracts and will stay with the team while working under the new coach. The Colts should be commended for honoring their commitments to those coaches, but it's not an ideal situation given that they weren't brought in by the team's next head coach. How does Andrew Luck factor into all this? The Colts would be one of the hottest jobs on the market if quarterback Andrew Luck were healthy. That's where part of the problem lies. Nobody knows when Luck will be healthy again. General manager Chris Ballard said Wednesday that Luck will not need a second procedure on his right shoulder, despite reports from ESPN's Chris Mortensen on last week's Sunday NFL Countdown that there were doctors who have concerns about whether Luck will need another surgery. Luck, the most important member of the organization, missed last season after having right shoulder surgery in January 2017. He spent about six weeks in the Netherlands late last year rehabbing his shoulder after the Colts shut him down in the middle of October. The Colts, who have missed the playoffs for three straight seasons, will have their rebuilding project set back even further if Luck is forced to miss any extended time. He already has missed 26 games over the past three seasons. He's currently working with throwing coaches in Southern California in his continued attempts to make his return for the 2018 season. So, where do the Colts go from here? It's extremely late for Indianapolis to jump back into the coaching market. Of the four known candidates the Colts interviewed before they thought they had McDaniels locked in, none appear to be viable options. Mike Vrabel was hired by the Tennessee Titans and Matt Nagy went to the Chicago Bears, while Matt Rhule decided to stay at Baylor and Kris Richard was hired as the defensive passing-game coordinator with the Dallas Cowboys after being fired as defensive coordinator in Seattle. The Colts could look at a trio of Philadelphia Eagles assistants who were key figures in the team's Super Bowl run -- offensive coordinator Frank Reich, defensive coordinator Jim Schwartz and quarterbacks coach John DeFilippo. General manager Chris Ballard also has connections to Kansas City special teams coordinator Dave Toub; the two worked together with the Chiefs and the Chicago Bears. The reality is that Ballard and the Colts are in a scramble with the combine just three weeks away. There's not exactly a cupboard full of candidates at this point. Ballard did emphasize during his press conference on Wednesday that the team will not put a timetable on hiring their next coach.